Three months after the death of Paul Allen, Stratolaunch, the space plane company he founded, announced Friday that it will sharply cut back its ambitions, ending the development of a planned family of launch vehicles and a rocket engine and laying off most of its workforce. Three months after the death of Paul Allen, the space plane company he founded announced Friday that it will sharply cut back its ambitions. 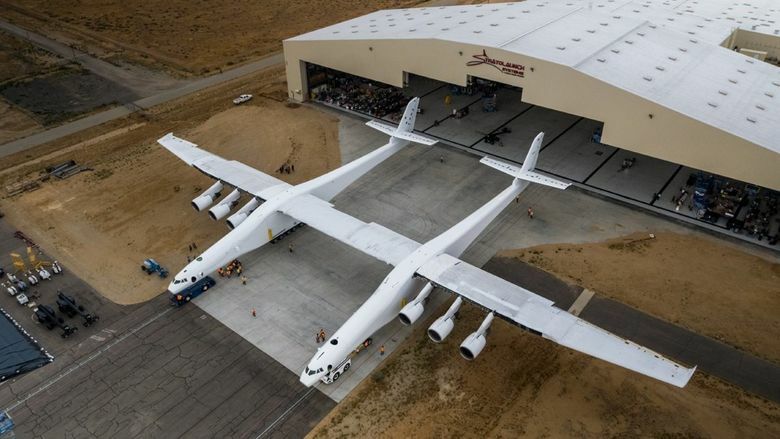 However, the shrunken company still plans to fly the giant Stratolaunch plane that’s now undergoing high-speed taxi tests on the runway in Mojave. The project, first announced in 2011, had been massively expensive for the tech billionaire founder. Although the funding level was never disclosed, it likely consumed at least a billion dollars. 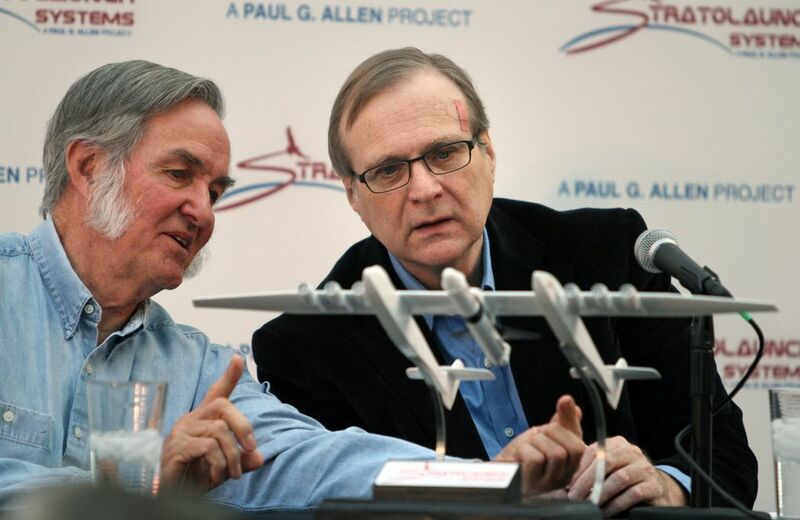 With Allen gone, it makes sense for his estate to continue to fund the plane, which is very close to first flight, to preserve that investment and attain his goal to have it fly. But apparently there is no appetite to continue the spending at previous levels. Plans to expand the project, announced just last year, now have been dropped. The giant plane, featuring twin fuselages linked across the top by an immense wing, is designed to carry a rocket slung beneath it to be released at 35,000 feet and launched into space. The original Stratolaunch plan was to use a 1990-era Pegasus rocket, since acquired by Northrop Grumman, to deliver satellites into orbit. Last August, the company announced an ambitious plan to develop its own family of other rocket launchers that could be slung under the Stratolaunch, including a fully reusable space plane. And in September, Stratolaunch said it would also develop its own high-performing liquid fuel engine for those rockets. Those plans are now abandoned. Geekwire reported Friday that along with the cutbacks in these projects, the company laid off about 50 people, leaving only about 20 employees to continue work on the big plane and get flight tests started. The business plan for Stratolaunch was always unclear. Friday’s scaling back of the project raises the question of whether it will continue after it flies for the first time. Read more about Paul Allen’s legacy here.